Fishing in Iceland is a unique experience. Whether you are chasing a brown trout in a small, beautiful river on the south coast or char in the highland lakes at night, far from any road traffic or maybe an atlantic salmon in a large river on the east coast, it is an experience that you won’t forget. Here on Anglers.is you can get to know many of Iceland best rivers anda lakes. Both rivers that offer full service, but also rivers in which you can be on your own, with your friends, the fish and the Icelandic nature. We hope you enjoy the time you spend on anglers.is and if you want to bring that experience to life we can definitely help you. We offer fishing in the majority of rivers and lakes in Iceland and if you are looking for the full package, service from the time you arrive to Iceland until you go back home, we can arrange it. Contact us here or call +354 897 3443. We at anglers.is have over 30 years experience in fishing and guiding in Icelandic rivers and lakes. 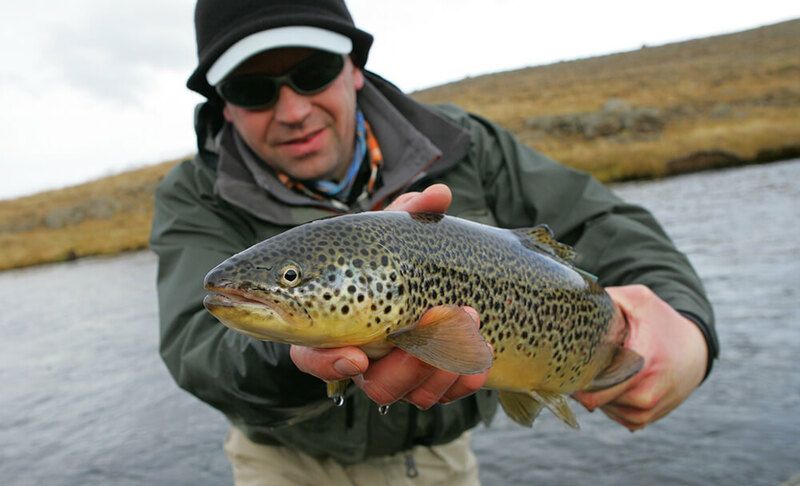 We can assist you if you are planning a fishing trip to Iceland. We can offer a range of different options for anglers to choose from, depending on what kind of fishing, the level of service and luxury you need and whether you like to go trout, Char or Salmon fishing.